Postcard direct-mail marketing campaigns remain some of the most cost-effective and successful ways to market any business today. Every size company, from small startup to established corporations, can take advantage of postcard direct-mail marketing to land new customers and increase profits. 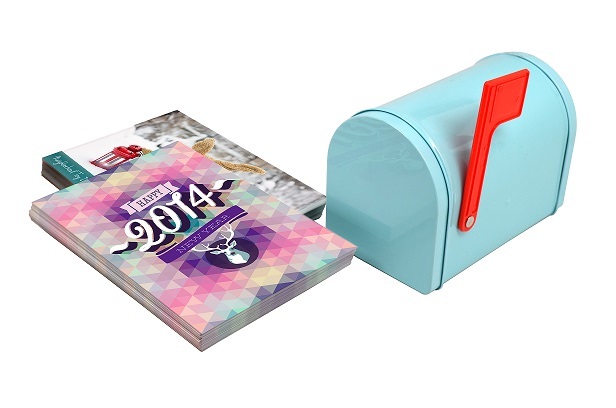 The following details how you can develop a winning postcard direct-mail campaign. Know your customers and identify your goals Two of the most important components of developing any successful postcard marketing campaign are to know your customers and to identify your goals. Understand your customers' needs and key motivators, and you can persuade them to take the next step in the purchasing process. Identifying your campaign goals gives you a measuring stick for success and also help you craft the right design and copy – as well as choose distribution options – that will yield a successful campaign. Create your offer and pen copy Your offer should be enticing to customers; it should offer excellent value for their action (and their dollars). It should also yield a profit for you. Your offer should be time-limited to maximize sales in a short period of time. Once you have your offer, you should write your postcard copy or hire a professional copywriter to do it for you. Your copy should grab immediate attention, detail the benefits of buying, deliver your offer and include a call to action that tells customers exactly what to do next in order to receive your valuable offer. Design your postcard With your copy in-hand, you can turn to a professional graphic designer to craft your postcard design. The design should help brand your company; but more importantly, it should help influence action by complementing your copy. Your design, through images, graphics and fonts, should convey a specific emotion to help get customers in the right mind set to take the next step in the purchasing process. Print your postcards Your postcards should be printed on premium quality paper stocks, such as super-thick 16-point gloss cover or eco-friendly 13-point recycled matte. Eco-friendly soy inks are more vibrant than petroleum inks and are far better for the environment. Consider printing your postcards in extra-large sizes to command attention at the mailbox. Mail your postcards Develop a mailing list of potential customers who fit your best customer demographics. Send your postcards to your list. If you choose a postcard printing company such as PsPrint, they can handle the graphic design, printing, mail list development, and postcard mailing for you to save time and money. Test, track, and tweak Test different postcards against one another to see which performs best. You don't need to make dramatic changes; often a headline change or image change can make a major difference in return on investment. Track your return on investment for your postcards and determine ways to improve it. After your campaign is over, make any necessary tweaks to better position your next postcard campaign for success. Repetition is key, because over it time it builds credibility and customer trust.